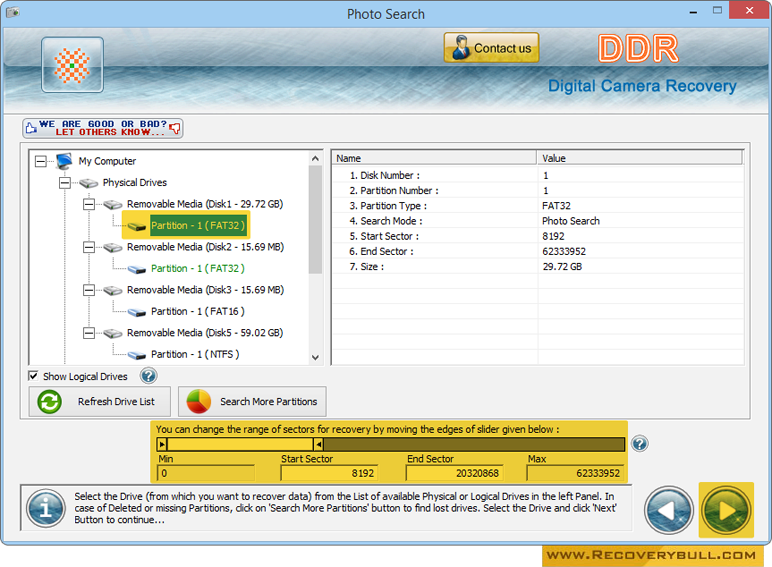 ➨ Product Information : Digital Camera Data Recovery Software easily recovers lost, deleted files and folders including pictures, favorite snaps and priceless photo collections from digital camera storage media. File recovery software supports all types of camera also popular as Professional camera, Digital video camera, Specialty camera, Novelty camera, Point and Shoot camera and other similar devices. Select drive or partition from which you want to recover your lost files from list of available physical and logical drives. Recover files from common data loss cases: Software facilitates safe recovery of files lost due to major data loss cases including Human mistake, Media formats or Hardware malfunction. 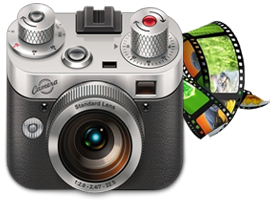 Supported Digital Camera Brands: Support all major brands of digital camera storage media including Canon, Nikon, HP, Samsung, Fuji, Kodak, Toshiba, Panasonic, Sony, Kingston, LG Electronics, Konica-Minolta, Pentax, Olympus, and other popular brands. Advanced data recovery algorithms: Software uses advanced data recovery algorithms to quickly locate and recover lost files and folders. Preview files and folders before actual recovery: Data recovery utility allows thumbnail preview of files before actual recovery. User interface: Easy to use GUI interface facilitates user to understand the software and operate with ease without taking any technical training.